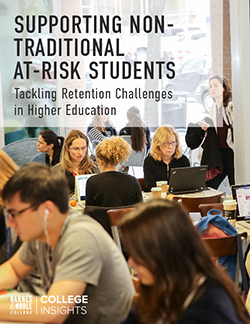 Although she admits it’s the kind of strategy that can certainly drive revenue for the store and for the campus partners it serves, Vostok stresses that those kinds of connections can help build the kind of support students really value. “Open rates for our emails are around 50 percent, and 80 percent of students researched say the programs were helpful — with an additional 71 percent saying that the bookstore helped them get established at college,” she noted. That commitment to engage and understand first, then move forward with ideas and strategies based on the voice of customers, has given Barnes & Noble College a deeper understanding of its audiences and suggested key opportunities where it could help with specific issues. By listening and gaining a better understanding of Millennials career preparation skills for example, the company developed the Career Now initiative, backed by powerful online and on-campus programs, including increased opportunities to leverage previously underutilized campus career services programs and better develop the value students found in using faculty for career advice and guidance. Listening has also helped with recent product and service innovations as Marie Policastro, Director of Partnership Marketing for Barnes & Noble College, explained. 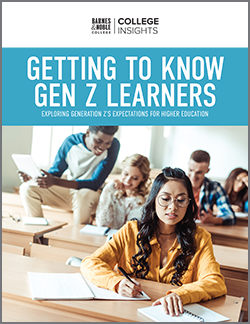 “With Gen Z now on campus, they represent a whole new set of needs and challenges,” she says. “To make sure we better understand how to engage with them, we researched their college expectations, aspirations and use of learning technology.” Though that process reported that Gen Z value an academic education, it also revealed important learnings that will help not only Barnes & Noble College provide better support opportunities tailored to the unique needs of this generation, but also the opportunity to share that knowledge with college faculty, instructors and administration. 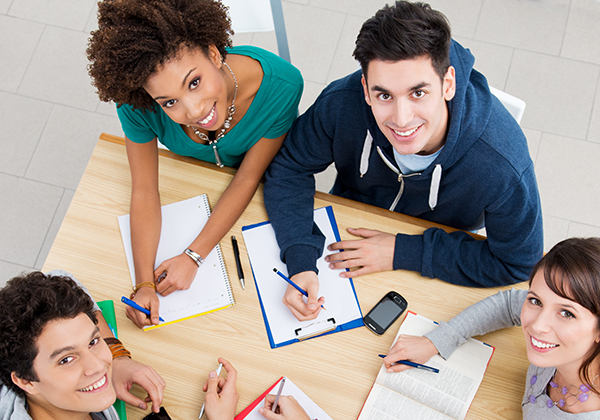 For example, the company has incorporated those learnings into teaching and learning tools in its new LoudCloud platform, providing faculty, advisors and students with more affordable and effective courseware options and extending the most effective support tools to students through analytical tools to help ensure and support their success. Other groups with unique needs that Barnes & Noble College’s culture of listening has helped are non-traditional students, now representing some 74 percent of today’s student population. “They present a unique set of challenges and need to be supported to feel successful in their academic journey.” Policastro points out. More likely to be considered at risk, with low confidence about completing their program and less connection to the campus, Barnes & Noble College is developing new programs and outreach designed specifically to help meet the needs of this growing student group.